We spent the Mid-Winter Break in Williamsburg during a homeschool week. Sheridan enjoyed going to the museums and seminars in order to learn more about life in colonial America. 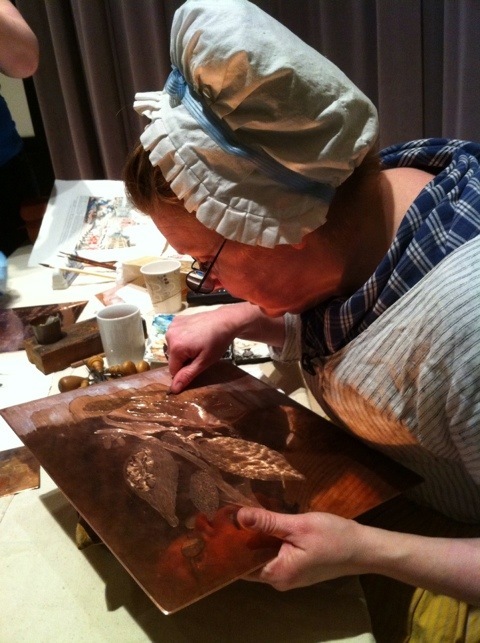 Here is a photo from the copper engraving seminar that we attended.